New layout coming to App launcher in Google bar. Customize the launcher to show your favorite apps at the top. 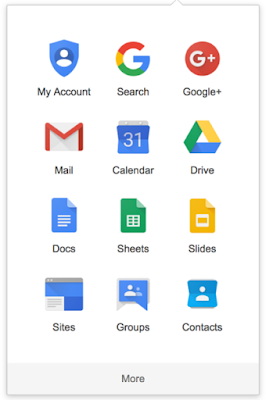 To do this, drag and drop them within the menu when you're signed in to your Google Account. At the bottom of the menu, select More. 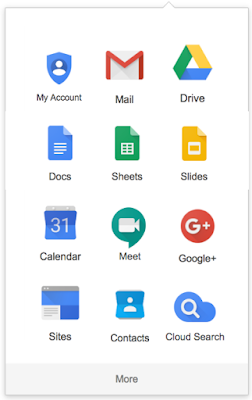 Drag the Google apps you want to the top of the launcher. 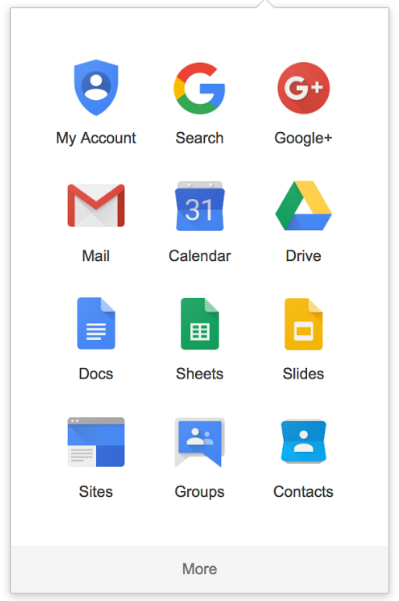 You can also add Google apps that do not appear in the "More" section. Open the app you would like to add. 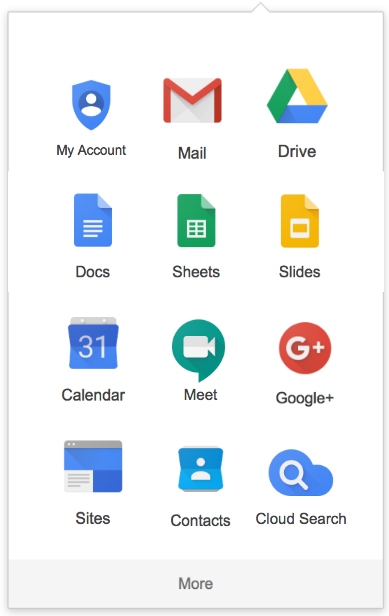 In the upper right, select Google apps Apps. Below the app name, select Add a shortcut. Note: there may be Apps that you cannot add to the App launcher at this time.